Digital Transformation Or Death, Our Only Options! As I prepare for the launch of my book “The Digital Transformation Success Formula”, I am often asked by friends who are not in the technology field “What is Digital Transformation?” That is a great question to ask and a great place to start. I say “start” because digital transformation will impact your life one way or another, like the industrial era had impacted your life and that of our parents. 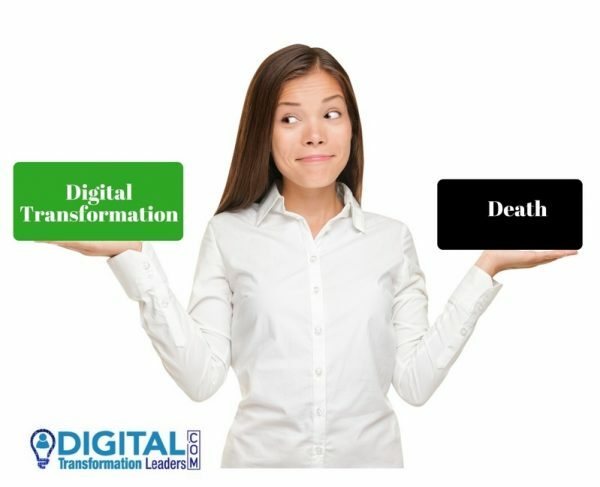 Whether you are aware of it or not, you will be making a choice between “digital transformation or death”. Leaders will have to decide first. I help them make the right decisions and guide them to succeed when they choose digital transformation. Digital transformation is how the latest digital technologies combined with strategic business innovation are reshaping the actual era, reinventing businesses, organizations and our lifestyles. Many professions as we know them today will disappear in a couple of years. Many of you have already changed careers or experienced the loss of a job. We see many “ends” but digital transformation also offers many “beginnings” and that is what I want to guide you to take advantage of. Technology itself is evolving fast, but it will not create the transformation by itself. I have as proof the many millions euros/dollars technology and business projects that I had the opportunity to either manage, lead, participate in or witness in the corporate world (and especially in Fortune 500 companies) over the last 20 years. In fact, relying too much on technology is the number one reason for technology project’s failure. Leaders are creating the transformation. Our lifestyles, businesses, and organizations will be how our leaders shape them. My new book, “The Digital Transformation Success Formula” is aimed at leaders so they can transform themselves first, and then transform our organizations, businesses, and lives efficiently. Every leader, no matter your title, your industry, or your work status as an entrepreneur or an employee, you want to be involved. 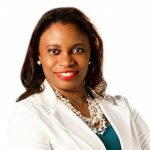 Join my group of Digital Transformation Leaders by opting in for the 1st report, “The N°1 Formula for Digital Transformation.” Just click the link to the portal below. Check out the blog on the site as well. I’ll keep you posted soon about the launch event for the Digital Transformation Leaders platform, as well as the book launch. You won’t want to miss the launch event. I’ll bring together a great panel of experts to deliver value to you on several aspects of digital transformation. Furthermore, for one hour, you will be able to download the Kindle version of the book for free. That’s not all. You will also be able to purchase the printed “The Digital Transformation Success Formula” book at a reduced price, all during a limited period of time. Additionally, there will be several other gifts to win. 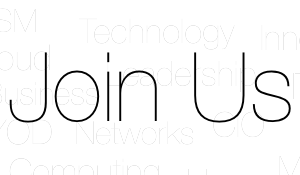 Opt-in and join our group at www.digitaltransformationleaders.com. Once you opt-in, I’ll then send you a private invitation for the launch event, coming in November and the Digital Transformation Report. You’ll also receive a video training on how to “Create Your Digital Transformation Vision in 7 Days”, for free.